Via Twitter (Juan Carlos Iragorri). According to news reports, Bono received communion at a local parish on the morning (October 8) after performing the Joshua Tree anniversary concert in El Campin Stadium in Bogotá, Columbia. 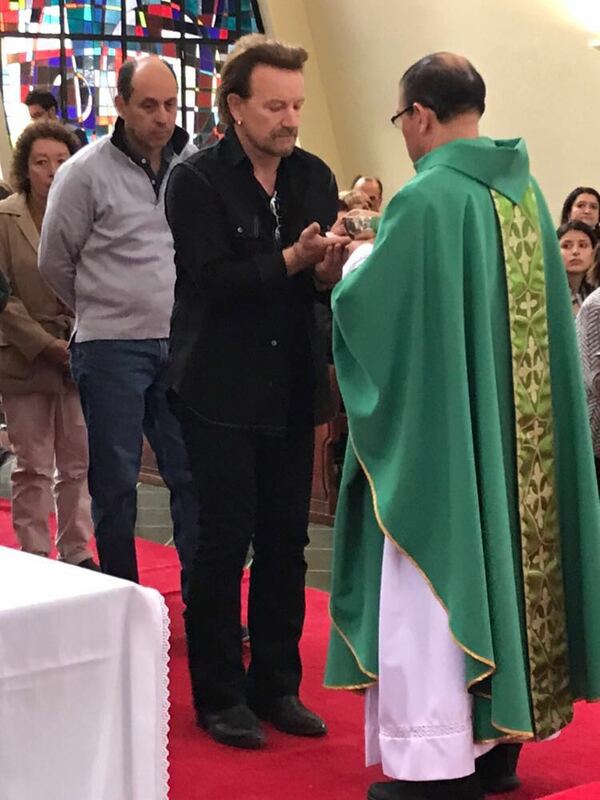 According to those attending mass, Bono arrived without fanfare, sat quietly in the back of the sanctuary, prayed in silence, and received Communion. The service was conducted at the chapel of The Gimnasio Moderno, a prestigious primary and secondary educational institution in Bogotá. The photo was taken by an unknown participant at the religious service.